This is the story of Samuel Washburn, born a slave in 1850. After the death of his master, Mr. Washburn, the terrible death of Sam's own father, and the loss of Sam's mother, who was sold down the river to a different state, his world began to fall apart. His late master's son's cruelty culminated in an unforeseen and very unfortunate confrontation, which impelled Sam and his cousin to flee the plantation. They ran north to freedom, only to return to the South to fight for a greater cause, the liberation of all slaves in the Confederacy and the return of the Confederacy to the Union. 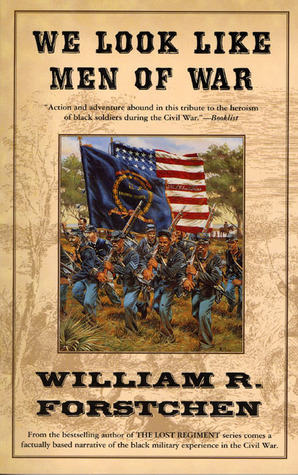 Though still only a boy, Sam became a regimental drummer with a "colored regiment," and saw action in the Wilderness campaign at Fredericksburg and Petersburg, and at that bloody Battle of the Crater in July 1864. This story, told in Sam Washburn's own voice, gives a unique perspective on the slaughterhouse that was the War Between the States and the hideous toll it took on both young and old, black and white. But it also shows us, with stark and unforgiving clarity, the even worse toll that slavery took on both master and slave, the hideous assaults on the dignity and spirit of slaves, and the warping of the minds of those who owned or sold or captured slaves. Slavery corrupts both master and slave, and even after the Civil War was over with, in the American South the maltreatment of former slaves as well as poor whites continued and worsened year by year as the Ku Klux Klan kept both groups of people from ever "rising above their station" and made their lives hell. It took the work of Dr. Martin Luther King, Jr., the Freedom Riders, and the Civil Rights movement in general to bring that hell on Earth in this country to a well-deserved end. It was men and women like Sam Washburn, yearning for freedom, fleeing slavery, and returning to fight to free others, working unknowingly in concert with President Abraham Lincoln, the saintly Harriet Ross Tubman and other conductors of the Underground Railway, and the martyred abolitionist John Brown to achieve that end. People like these changed history for us all, and set us on a path to the stars. It is up to us to continue on that path for the sake of us all.